In all, there are 14 species of cats, including tigers, lions, leopards, cougars, bobcats, lynx, servals, ocelots, caracals, jungle cats, leopard cats and a Geoffroy cat. We don’t keep a checklist of all the animal species we’ve ever seen in real life, but if we did, we would certainly have checked a few off the list that day! 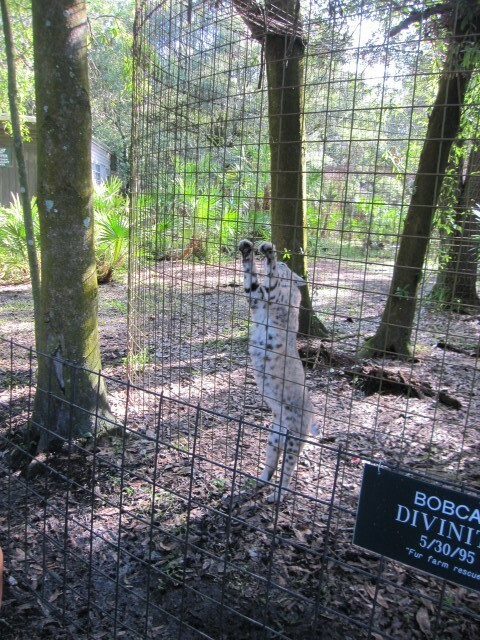 Ever heard of a serval? 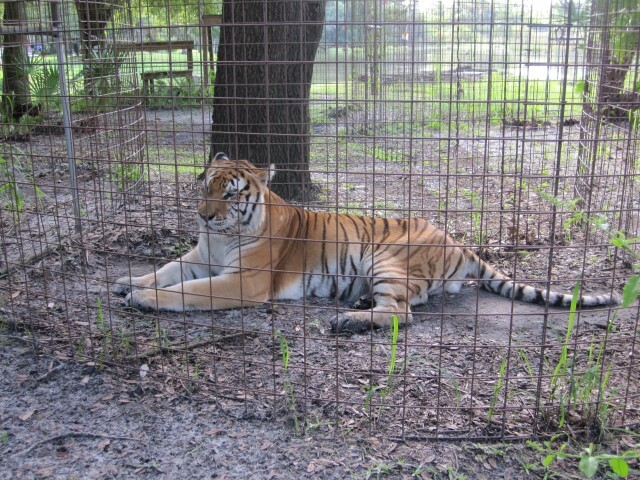 I hadn’t, but we saw one of the mere 167 in captivity anywhere in the world! 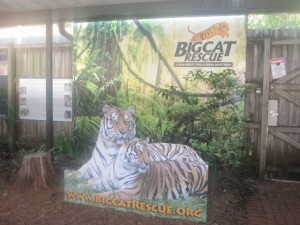 You can only visit Big Cat Rescue on a guided tour, and you have to stay with your group at all times. Although our guide did give us ample time to admire the cats and take pictures, she was very insistent that we keep up with the group when she moved on. Not all tours are open to children. 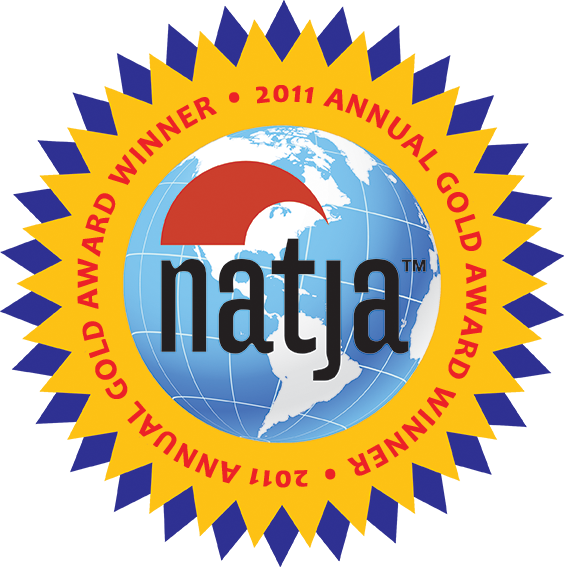 For children under 10, your only option is the one-hour “Kids Tour” at 9:00AM on Saturdays and Sundays. Older kids have the option of joining you on the “Keeper Tour,” the “Feeding Tour,” and the “Wild Eyes at Night” tour. Keep in mind that the dirt paths are not easy to push strollers through. We went the day after it rained, and there were a lot of mud puddles to navigate. 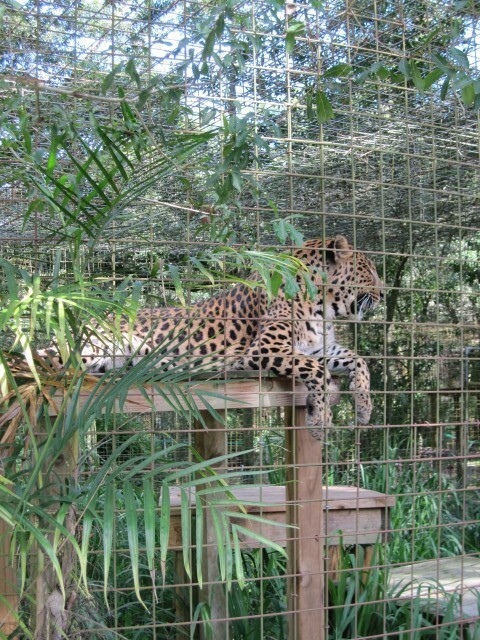 I found the admission fees (ranging from $36.00-$125.00 per person) a little pricey, but understood that this is a nonprofit, and the costs cover the care and feeding of these beautiful animals. 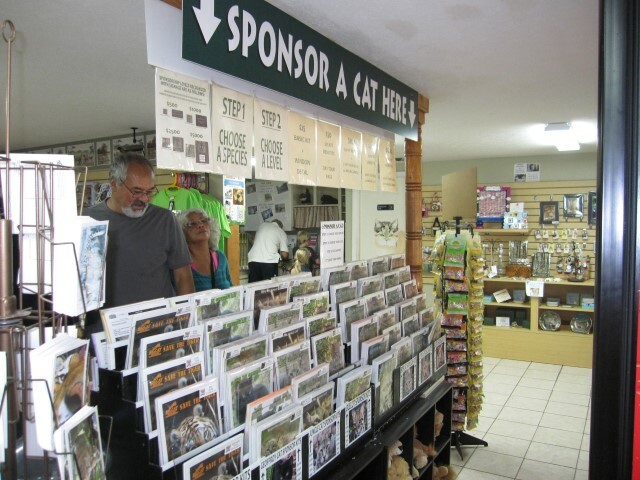 At the end of your tour, you can sponsor a cat in the gift shop. This is a great way to extend your child’s experience and do even more good. Thanks for visiting us! We’re glad you enjoyed your tour.